Your aesthetician can offer tips to help you maintain a skincare routine that works for your skin type and goals. It is important to follow the recommended routine and make sure you commit to performing this routine in the morning and at night. Consistency is key for any skincare plan and keeping up with your routine will help you achieve the best results. It can be super tempting to pick at blemishes on your face or try to pop pimples on your own, but just remember that this is never a good idea! Squeezing and picking at your skin can lead to serious damage and scars. It is always best to leave blemishes alone and wait for guidance from your aesthetician. Applying sunscreen should be part of your daily skincare routine, no matter what time of year it is! The sun’s rays can be damaging to the skin, causing signs of aging and increasing your risk of developing skin cancer. Wearing sunscreen will help protect your skin from the sun’s rays and these damaging effects. Applying moisturizer helps keep your skin hydrated, but you can also keep your skin hydrated from the inside-out by drinking plenty of water. Staying hydrated is especially important during those hot Tucson summers. Are you ready for your next facial? 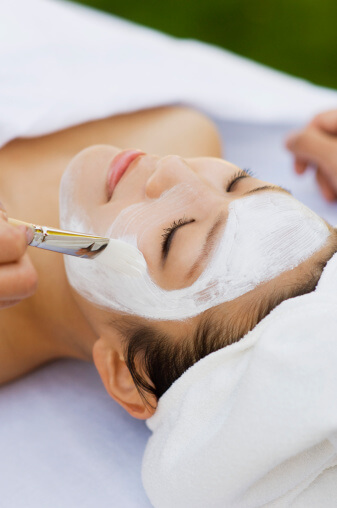 Salon Nouveau offers a variety of treatments, including our express facial and signature facial. Learn more about our Tucson skincare services by giving us a call at (520) 323-0770.